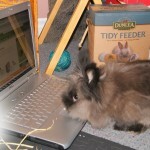 Dunlea Farms Pet Hay » Blog Archive » Photo Contest – Win a year’s supply of Hay, Pellets, and Bedding! 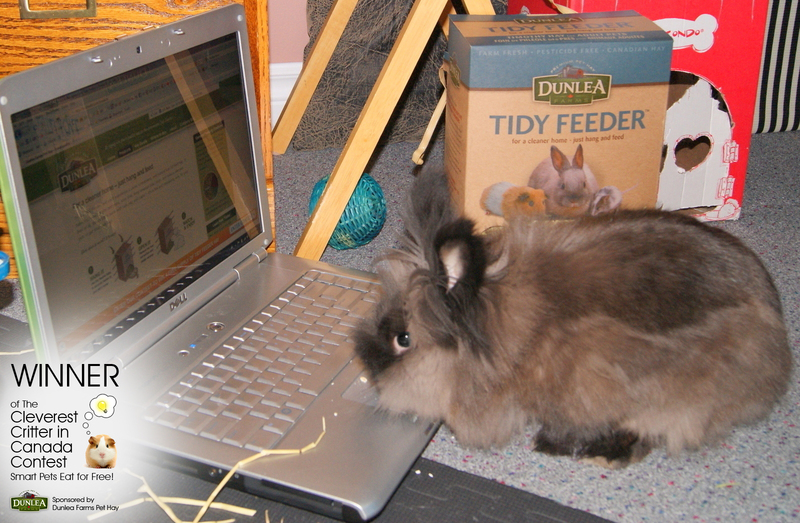 Enter our photo contest and your pet could win a year’s supply of Hay, Pellets, and Bedding, a value over $300! 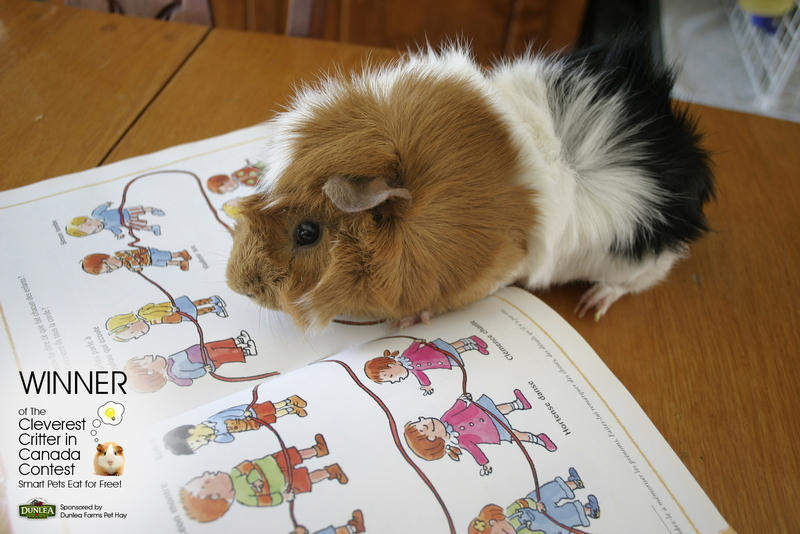 Let’s find out who is Canada’s Cleverest Critter! 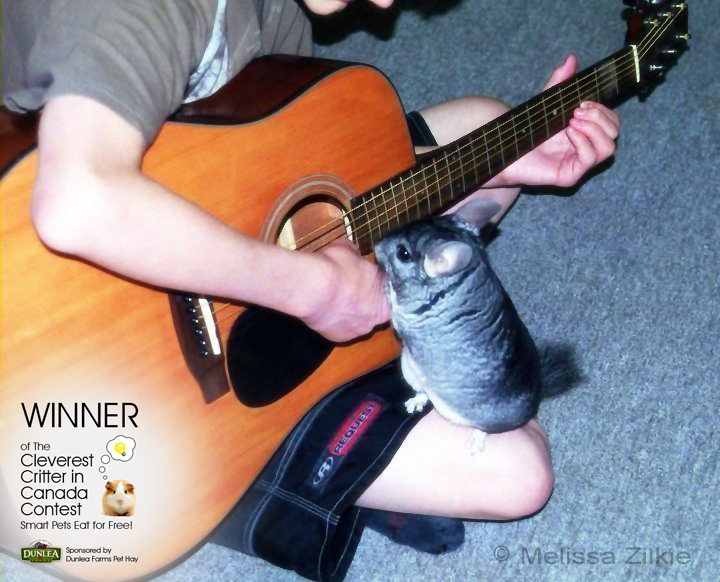 Submit a photo of your pet doing something AMAZING, either by visiting the Contests section of the Tidy Feeder Facebook page, or visiting our contest website. You have until Feb 21 to submit your entry. On Feb 22, voting opens and all the photos will be published on the contest website. 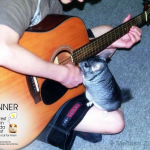 The two clever critters with the most votes will win, so make sure you get all your friends to vote for your pet and check out all the great entries. Voting closes on March 21. On March 23 we’ll announce the Grand Prize and Second Prize winners, who will receive 1 year and 6 months worth of free Hay, Pellets, and Bedding. The winners will be contacted by representatives of each of our sponsors to arrange delivery of the prizes. 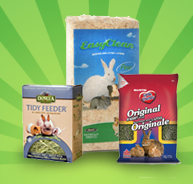 12 x 24oz Timothy Hay in a Tidy Feeder™ package from Dunlea Farms Pet Hay. 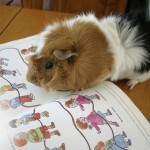 12 x 2kg Little Friends™ Original or Timothy Rabbit / Guinea Pig Food from Martin Mills. 12 x 20L of Pine or Aspen bedding from Pestell Pet Products. 6 x 24oz Timothy Hay in a Tidy Feeder™ package from Dunlea Farms Pet Hay. 6 x 2kg Little Friends™ Original or Timothy Rabbit / Guinea Pig Food from Martin Mills. 6 x 20L of Pine or Aspen bedding from Pestell Pet Products.. 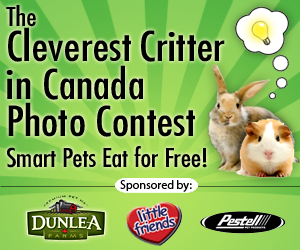 The Cleverest Critter in Canada photo contest is sponsored by Dunlea Farms Pet Hay, along with two other great Canadian pet companies – Martin Mills and Pestell. We’re all working hard to help you care for your pets with great Canadian ingredients and products.